With our countless choices, it can be hard to make decisions! Our mission is to simplify this process for you. We created a few packages that combine different services but of course length, activities and luxury levels can be changed according to your needs. 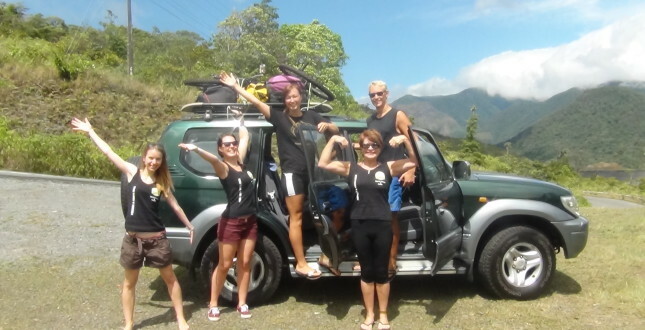 Our unique adventure package: the Travelling Spanish Classroom. Combinations of Spanish classes & activities like surfing, diving and yoga. Packages for special-interest groups, like families, teens and interns. This package focuses on the needs of people that finished school quite a while ago and are no longer accustomed to the rigors of study. If you are a beginner, you are probably interested in learning Spanish for real conversations (for example ordering food in a restaurant) but if you already have a foundation, you might want to focus on grammar, improve you pronunciation, expand your vocabulary to use in different situations and learn about the culture. Fewer class hours per day, more relaxed learning atmosphere, upscale lodging accommodations and tours designed to meet your specific interests are some of the characteristics of this package. In Germany, the institution of Bildungsurlaub allows employees from any sector to receive up to an extra 5 days of educational leave that are to be used for professional advanced training. 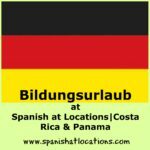 Language courses like we offer at Spanish at Locations have become a popular option for Bildungsurlaub as it allows workers to travel and advance their foreign language skills abroad. This program is only acknowledged by the German states for the Intensive Spanish Course, requiring six hours per day. A gap year is a year before going to college or university or taking a year off before going into graduate school. During this time you may engage in non-academic courses, language studies, volunteer work, travel or internships. All our courses are suitable for gap year purposes but we also offer a special Gap Year Travelling Spanish Classroom for students between 17 and 22 years in JUNE 2017. Wow! 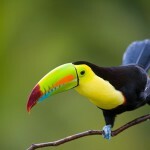 Learn Spanish & enjoy nature in Costa Rica which this package. 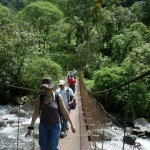 Best places and activities of Turrialba (mountains) and Puerto Viejo (ocean) are included. At both locations you can add other activities for an extra cost or do volunteer work. You can also arrive before or stay afterwards, paying $12 per night for a shared room at our hostel. Wow! 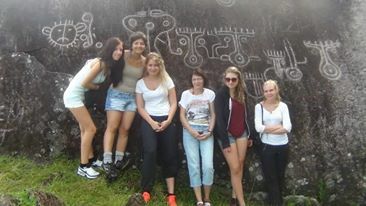 Learn Spanish & enjoy nature in Panama which this package. 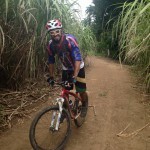 Best places and activities of Boquete (mountains) and Bocas del Toro (island) are included. At both locations you can add other activities for an extra cost or volunteer work. You can also arrive before or stay afterwards, paying $12 per night for a shared room at our hostel. Combine your passion for birdwatching with learning the related Spanish terminology in this package! Wether you like to walk and chat or to search for that one special bird, we´ll make birdwatching a personal experience for you. Your specific interests are important to us. Two afternoon hikes with a specialized guide is included. One hour of specialized Spanish is used to round out this attractive package. Combine your passion for diving with learning the related Spanish terminology in this package! 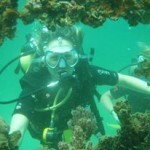 In this program you will take any of the PADI dive courses in combination with learning Spanish. 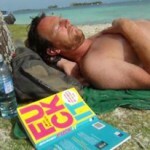 What a perfect combination for an educational holiday. 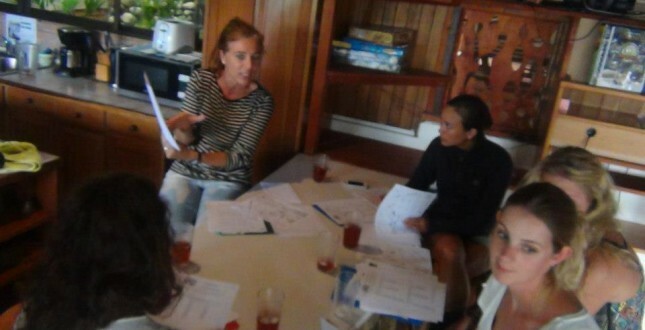 The dive schools organize the courses in many different languages, not just Spanish. One hour of specialized Spanish is used to round out this attractive package. Combine your passion for hiking with learning the related Spanish terminology in this package! Learning Spanish and going on relaxing hikes make the perfect combination for a stress-free, educational experience. You can dedicate part of the day to learn Spanish and the other part to participate in two half day hikes in the surroundings of our fascinating locations. One hour of specialized Spanish is used to round out this attractive package. Combine your passion for whitewater rafting with learning the related Spanish terminology in this package! You’ll enjoy one full and one half day of whitewater rafting on two different rivers in the surroundings of our location. Of course we take your rafting experience into account to make sure you have a safe, enjoyable and memorable river journey! One hour of specialized Spanish is used to round up this attractive package. Combine your passion for river adventures with learning the related Spanish terminology in this package! 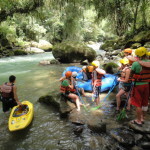 Rafting & Camping on the banks of the Pacuare River, listed in the top 5 of the most scenic rivers in the world, is an experience that you should not miss! 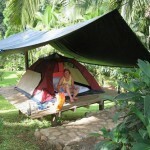 In this package you will have an overnight trip included. From there you return to Turrialba or continue to San Jose or our Location in Puerto Viejo. One hour of specialized Spanish is used to round up this attractive package. Combine your passion for river kayaking with learning the related Spanish terminology in this package! 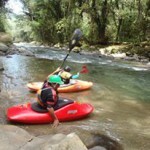 This program includes two sessions of kayak instruction on the Pejivalle River (class I –II). You will be introduced to and practice “reading the water”, the “eskimo-roll” and also crossing the river by making “ferries”. One hour of specialized Spanish is used to round out this attractive package. Combine your passion for sea kayaking with learning the related Spanish terminology in this package! 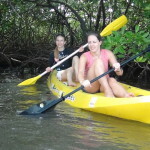 Bocas del Toro is the perfect place to combine learning Spanish and enjoy some sea kayaking in your free time! In this package deal you receive instructions on how to paddle and manouver your kayak as you visit different locations on two afternoons. One hour of specialized Spanish is used to round out this attractive package. Combine your passion for surfing with learning the related Spanish terminology in this package! 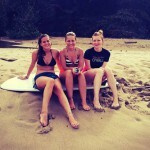 In this Package you will receive two afternoons of surf classes on Panama’s or Costa Rica’s top surf locations. This will provide you a kickstart to continue practicing surfing on your own, giving you a new life changing hobby. One hour of specialized Spanish to learn Spanish vocabulary related to surfing is used to round out this attractive package. Combine your passion for yoga with learning the related Spanish terminology in this package! What a perfect combination, excercising the mind through studying Spanish and relaxing the mind through meditative yoga! In this package we provide you two yoga classes per week. One hour of specialized Spanish is included to round out this attractive package. 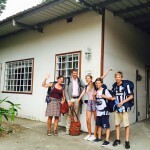 In order for families to study Spanish in Costa Rica & Panama, we can provide complete customized family packages for you. We can arrange everything for you, including transportation from the airport to the school. We secure a nanny for your very young children (under 6 years old) and Spanish classes for your older children. 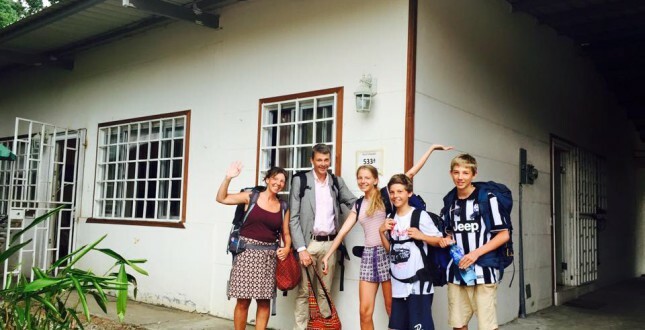 We provide family homes to rent, plan adventurous activities and volunteer oppportunities for you and your children. We can make recommendations for your travel in other parts of the country. Moving to Panama or Costa Rica? You must learn Spanish to be able to communicate and get things done. 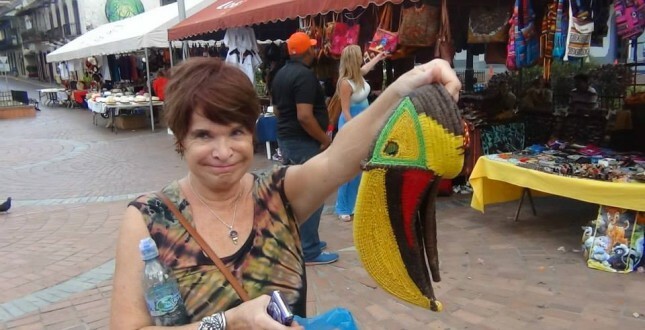 If you are retiring to Costa Rica or Panama or simply starting a new life, you will want to make friends and feel part of the community. You will need to ask lots of questions about insurances, car rentals, schools for your children, shipping and moving companies, immigration and visa rules. Just contact us with your questions and we’ll answer them with the knowledge we have aquired. This package is for teachers of Spanish as a second language who want to brush up and practice the language as they travel abroad to Costa Rica or Panama. Sign up together as a small group for a cross-cultural experience at one of our locations and work out customized Spanish immersion with us. 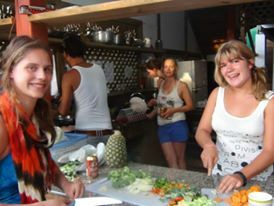 Transfer from the airport to the location of your choice, accommodations, social activities (cooking class, latin dance class), authentic community service projects and networking with a local school are possibilities in this package. 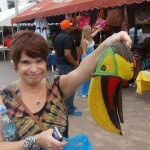 Some people just want to learn as much Spanish & Culture as possible in a short period of time! In this package you receive two weeks of intensive Spanish (6 hours in group or 3 hours private), your stay with a host family will include breakfast & dinner. Along with the free activities from sunday till friday, you’ll have two memorable weekend excursions included. 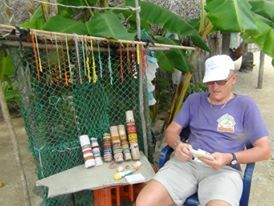 You’ll learn about the local culture from a local guide and this way as you have time to relax your mind. Hey teens! in June & July we offer camps just for you. 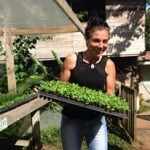 Combine Spanish classes, activities and volunteer work in Turrialba & Puerto Viejo – Costa Rica! For teens only. Teens we know you are at an exciting, confusing and challenging time in your life. 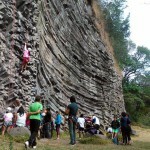 To meet your needs, we have specialized, less structured classes, fun activities, as well as some adventurous excursions. 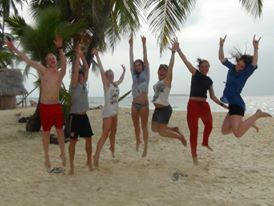 You will have opportunities to practice Spanish, do volunteer work and meet local young people of a similar age. Amazing Spanish Adventure!! FOUR weeks at a different location each week. 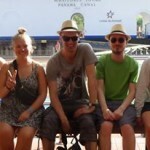 This program is designed for students who want to travel and learn Spanish. 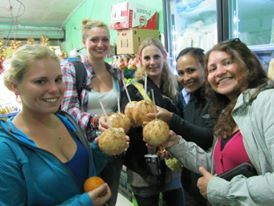 As you travel, you will share daily activities like shopping and cooking with a Spanish speaking instructor. 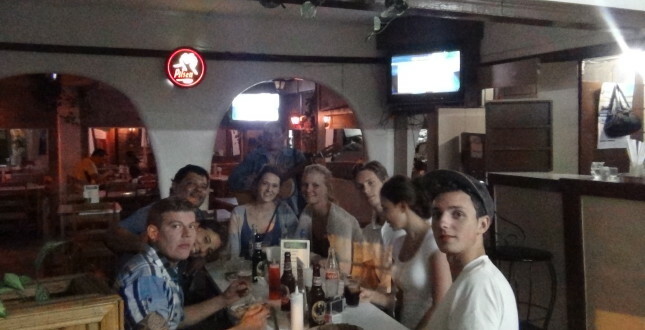 You will be immersed in a fun and inspiring atmosphere for learning Spanish. To round out the total package, we include our most popular adventures in each location to ensure that you do not miss these unforgettable experiences.